So, lets hear the war stories. 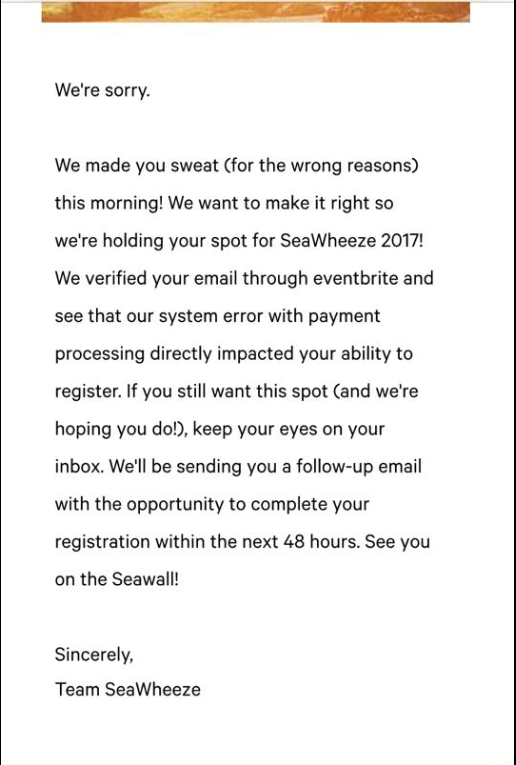 Did you get in? I don't think the waiting room system worked correctly since I was never able to get past the checkout screen and I got to that screen many, many times on several devices. I was trying to register for my nieces and nephew. Thank goodness I had a friend with luckier fingers and she got one niece and my nephew in. SeaWheeze very kindly offered pre-registration for legacy runners yesterday so my sister and I are registered for our sixth SeaWheeze. 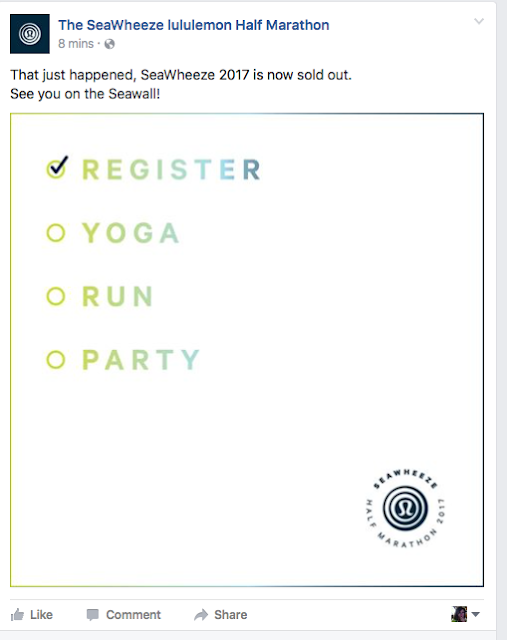 Update: We have a large Facebook group for SeaWheeze runners. Lots of good advice about training, where to stay and eat ,and you might be able to find a roommate, too.